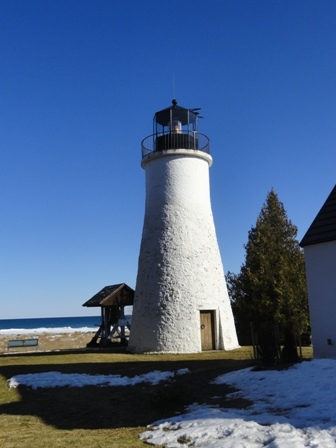 The Old Presque Isle Lighthouse was officially lit in September 1840. 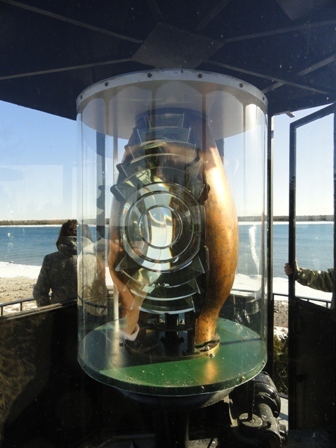 It continued in operation until 1870 when the New Presque Isle Lighthouse was built. It is now owned and operated by Presque Isle Township. 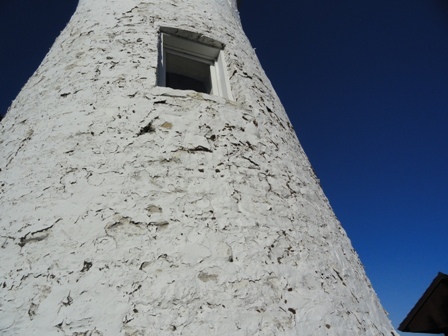 As you can see from the detailed photograph, the exterior is now in need of repainting.